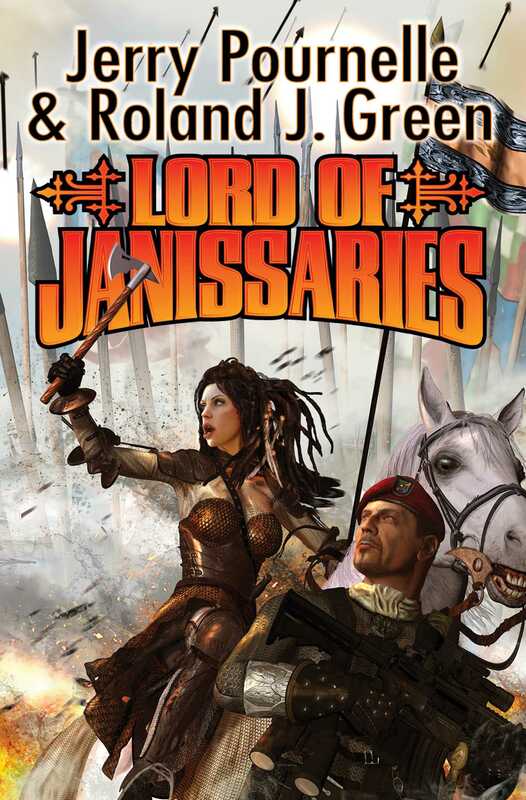 Three best-selling Jerry Pournelle masterpieces in one volume for the first time: Janissaries and Tran. A modern soldier is transported by aliens to a world filled with warriors through the ages including medieval knights, Roman soldiers. His task: survival. He didn't want to conquer the world. He had to. Captain Rick Galloway, formerly of the US Army, more recently a mercenary commander, was now Lord Rick on the planet Tran. Rescued by an alien spaceship from certain death when a mercenary assignment went sour, he and his men were dropped on a world distant from Earth, but inhabited by humans transplanted in the past from medieval Europe, from Imperial Rome, and from other now-vanished nations. Now the time of the Demon Star approaches, whose close approach and fierce heat will render much of Tran uninhabitable. To survive this fiery apocalypse, the warring nations of Tran must be united. Lord Rick doesn't want to conquer the world, but the alternative is certain extinction!